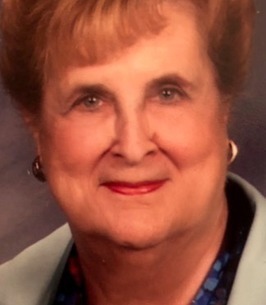 Peggy Irene Efird Faggart, 85, died at Tucker Hospice House on Saturday, October 27, 2018 after complications from Alzheimer’s. A memorial service celebrating her life will be held at St. James Lutheran Church on Tuesday, October 30th at 2:00pm. A reception will follow for family and friends in the Church Parish Hall. Peggy was born in Stanly County to Clifford M. Efird and Thelma Smith Efird on Christmas Day 1932. She graduated as Valedictorian of her high school and with honors from Lenoir Rhyne College. While at Lenoir Rhyne Peggy realized her passion for the teaching profession along with caring for and loving the children entrusted to her. She taught school at Albemarle, Odell, Hartsell, and Wolf Meadow, teaching advanced 2nd and 3rd graders, retiring as an Assistant Principal at Wolf Meadow. A blind date in 1956, arranged by the ministers of St. Martins and Trinity Lutheran for their part time organists, resulted in Peggy Efird marrying Parks Ray Faggart at St. Martins Lutheran Church in Albemarle on August 11, 1956. Peggy was an amazing cook, avid reader, loved to travel the world, never said no if you needed her. She always exceeded your expectations. The day school was out, she would load up the station wagon and her 3 J’s, Jeff, Jon, and Jan would head to Cherry Grove Beach for the rest of the summer. It was her heaven on earth until school started again and provided the children so many wonderful childhood memories. Always a people person, Peggy never met a stranger. She loved to connect with individuals with a smile on her face. Family played a major role throughout her life and she stayed connected to many of her relatives. Growing up she had twenty-four aunts and uncles and fifty-two first cousins. Family reunions were major events that she always looked forward to and continued to attend throughout her life. Once she retired from the school system and various professional educational clubs, she devoted her time to her greatest joy, sending out hundreds of greeting cards each month- from get well, birthday and anniversary, to her own words of inspiration. It was her way of letting someone know she cared about them. She always conveyed words of encouragement for better and brighter days ahead. Peggy began her own outreach ministry visiting different nursing homes and shut-ins, always taking flower pins she made to uplift their spirits. After the Sunday services, she would divide the alter flowers and distribute those to a nursing home or shut-ins from the church. A dedicated member of St. James Lutheran Church, she trusted all to God hands. She served on various committees and was a member of the Mary Magdalene Circle. Most of all, Peggy loved singing in the church choir and with the Singing Seniors. Even when she could no longer participate in the service or stand for hymns, her hands would tap out the rhythm and you could hear her trying to hum. Peggy was preceded in death by a son, Jonathan Efird Faggart, son- in- law, Wallace Ashley lll , and granddaughter, Catherine Rae Ashley. She is survived by her husband of 62 years, Parks Ray Faggart; son, Jeffrey Parks Faggart (Clare) of Concord; daughter-in-law, Janet Faggart of Sherman TX; daughter, Jan Faggart Ashley, Smithfield, NC; grandchildren, Katrina Faggart Stockton (Blake) Sherman, TX, Jonathan Ryan Faggart (Katie) Syracuse, NY, Elizabeth Stone Ashley, Smithfield, NC, and Wallace Raines Ashley, Smithfield, NC; and great grandchildren, Abigail and Hannah Stockton, also of Sherman TX. Also surviving is her sister, Jane Efird Poplin of Albemarle, NC, and a number of nieces and nephews. Many thanks for the exceptional care and compassion shown from the staff of Tucker Hospice House during this time. 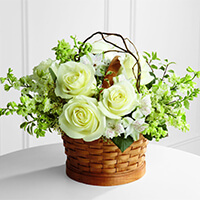 In lieu of flowers, memorials may be made to Tucker Hospice House, 5005 Hospice Lane, Kannapolis, NC 28081 or Saint James Lutheran Church, 104 Union Street, S. Concord, NC 28025. 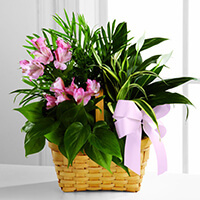 To send flowers to the family of Peggy Efird Faggart, please visit our Heartfelt Sympathies Store. We encourage you to share any memorable photos or stories about Peggy. All tributes placed on and purchased through this memorial website will remain on in perpetuity for future generations. To the Faggart Family: My sincere condolences to your family. I had the pleasure of working with Mrs. Faggart at Wolf Meadow ES early in my career. Her smile and energy were contagious and her compassion for all children was something I will never forget. I'm incredibly blessed to have known her and will always have fond memories of our time together at Wolf Meadow. Praying for peace and comfort. Mrs. Faggart was my 2nd and 3rd grade teacher at Hartsell School and I can say without a doubt that she was one of my favorite teachers and favorite people! I am so sorry for your loss. I was out of town with my family on vacation during her funeral and am so sad that I could not attend! Mrs. Faggart was loved by my entire family, and my mother was one of the teachers under her care at Wolf Meadow School. Mrs. Faggart taught with love, enthusiasm, and empathy for her students...something that was easily learned by her actions and was how I tried to be as a classroom teacher years later! I will never forget her and the impact she made on my life as a child and as an adult! I pray that the Lord will give you all His peace and surround you with His love in the days ahead! Extending my deepest and heartfelt sympathy to Ray and her entire family during this time in their personal lives. As a child, I have fun and loving memories of joining Peggy & Ray, along with the 3J children down at their Cherry Grove Beach House, along with Clifford and Esther Kluttz. It was always a blessing to run into Peggy and Ray whenever she was still able to get out, seeing them dining out together and sharing a chat, along with a loving hug with Peggy. She was such a lovely lady with a humble and sweet heart. Ray and her family will each be in my prayers. God's Eternal Home welcomed another earthly angel. Lex, John, and I loved Peggy so very much! She was a bright and shining star and always had a smile on her face. We were recipients of her many cards over the years and John was fortunate enough to be trained by her as acolyte and crucifer. He still talks about Peggy and the care she gave him. Peggy will always have a special place in our hearts! Love and prayers to you all! What wonderful memories I have from her third grade classroom at Hartsell School. I can still remember music she brought from home and played on the school record player. She was a treasure. Thank you for sharing her with so many of us across Cabarrus County.